Brian Craig Engineering holds three large milling machines, a computerised machining centre (electronic milling machine), a TOS Turret Milling machine and a TOS Universal Milling machine. Between these three machines, no job is too big or small for the team at Brian Craig Engineering. The computerised machining centre comes complete with a two metre large bed, enabling bigger jobs to be completed without issue. 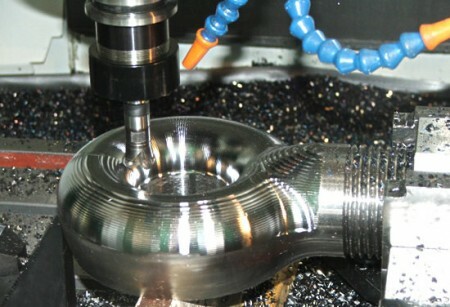 Milling can be used for cutting gears, splines, boring holes and to produce keyways. The team at Brian Craig are adept at creating any sort of shape required for any job, from the average square shapes, through to hexagonal and angular shapes. The bulk of the work completed on these machines includes splines and milling keyways, and special bolts required by clients. Brian Craig Engineering also do three dimensional machining, producing large eyebolts and special curved shapes. With such a huge and varied range of machinery and parts that can be engineered, bored, milled, sharpened and finished within their Port Rd workshop, Brian Craig Engineering are the specialists in precision engineering required for any job. The team at Brian Craig Engineering are specialists inprecision engineering, and in remanufacture of obsolete parts. No challenge is too big or small for the team, who have created a reputation based on quality and achieving great results for their clients. Talk to the team today about surface grinding for finishing and sharpening cutting tools. © 2019 Brian Craig Engineering, All rights reserved.